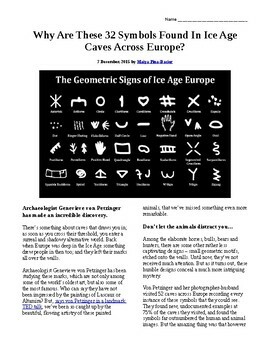 An informational text article about the discovery of 32 symbols found in caves throughout Europe that could indicate an early "language". A great supplement to any unit on ancient civilizations. 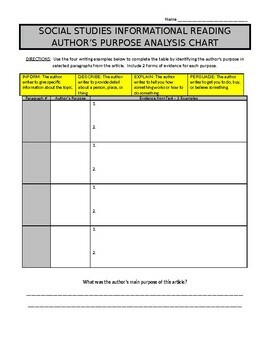 Also included is an optional "Author's Purpose" activity that is designed to enhance student's understanding of the article and the author's central themes. The information is from the New York Times, the questions are mine. A great supplement, fill in, or substitute teaching plan. Can also be used as a web quest using the history.com website. 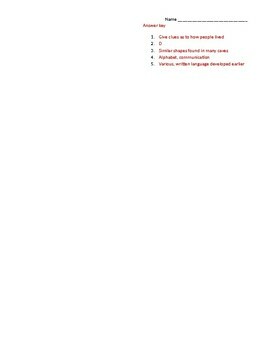 MS Word doc for easy editing.